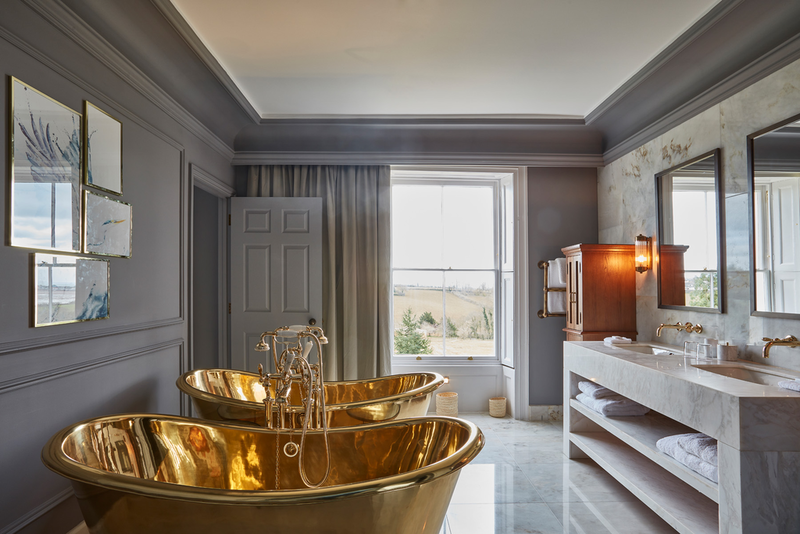 In looking for a full tanking solution for the ensuite bathrooms of renowned chef Michael Caines’ dream project, stone specialists Devon Stone elected to use various forms of the multi-functional tile backerboard Schlüter®-KERDI-BOARD. 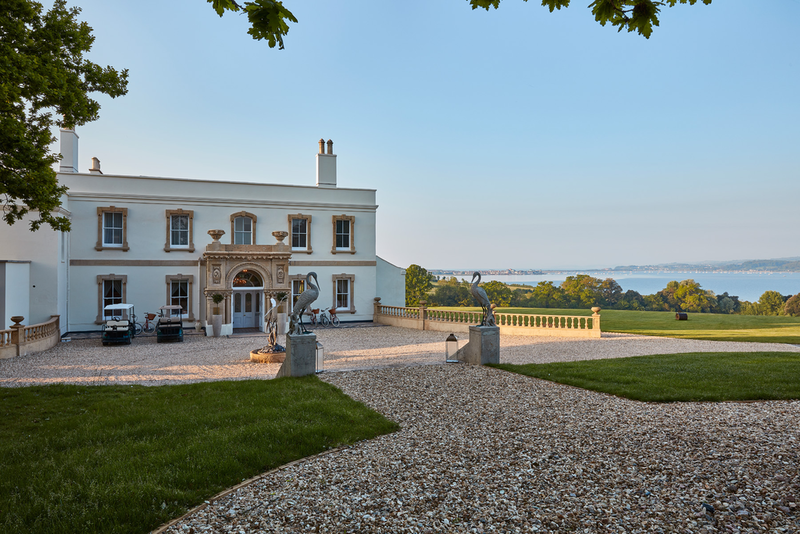 The project took a Grade II listed Georgian Manor house and converted it into a striking contemporary country house hotel with 21 guestrooms. 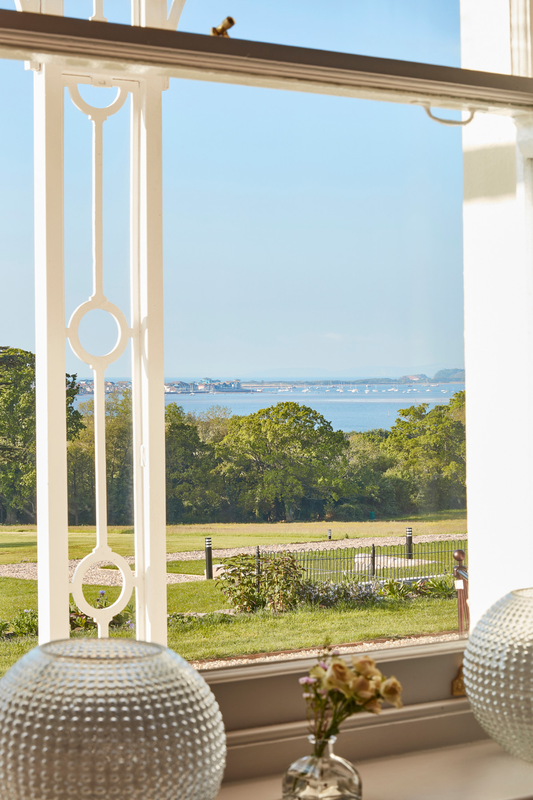 As well as gourmet cuisine and luxurious yet subtle interiors, Lympstone Manor has pride of place overlooking the Exe estuary, a Site of Special Scientific Interest (SSSI) due to the wildlife it supports. 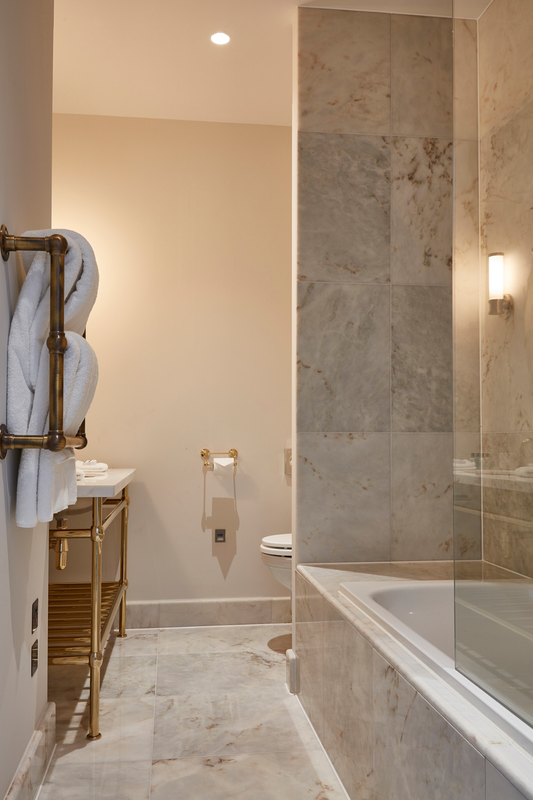 The beautifully furnished ensuites accompanying each guestroom not only required complete waterproofing, but also a not-inconsiderable degree of levelling and smoothing due to the age of the building. “Given the nature of the project, if water had managed to cause an issue, it would have cost a considerable amount to put right”, says Simon Wilmott, Sales Director at Devon Stone, “We needed a reliable solution and in our eyes there was no other option better for the job than Schlüter; their product knowledge and expertise is unrivalled in the UK”. 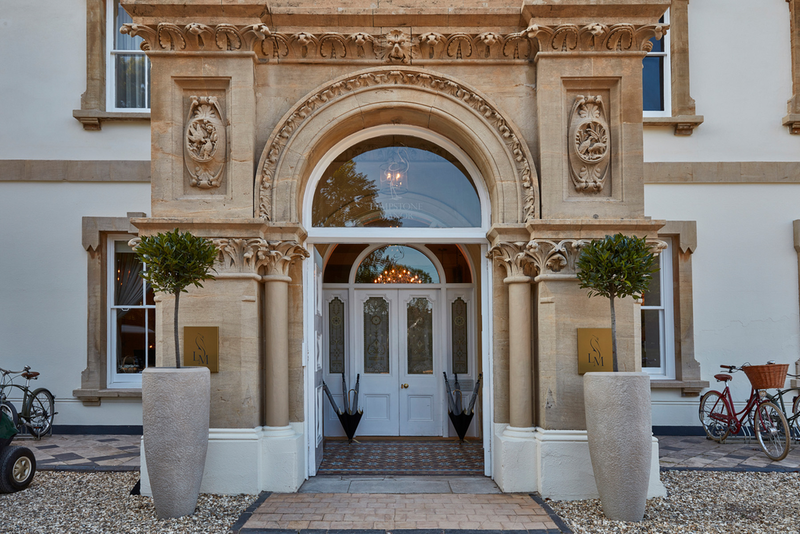 “In converting a Grade II listed house built in 1760 into a luxury hotel, the main challenges were in straightening and strengthening the walls and floor without changing levels”, continues Simon, “Schlüter®-KERDI-BOARD was a great help in allowing us to achieve this”. The walls and floors within the project were constructed of 18mm plywood, with the former being lined with 12.5mm KERDI-BOARD and the latter with a mix of 5mm and 12.5mm KERDI-BOARD, depending upon floor heights. 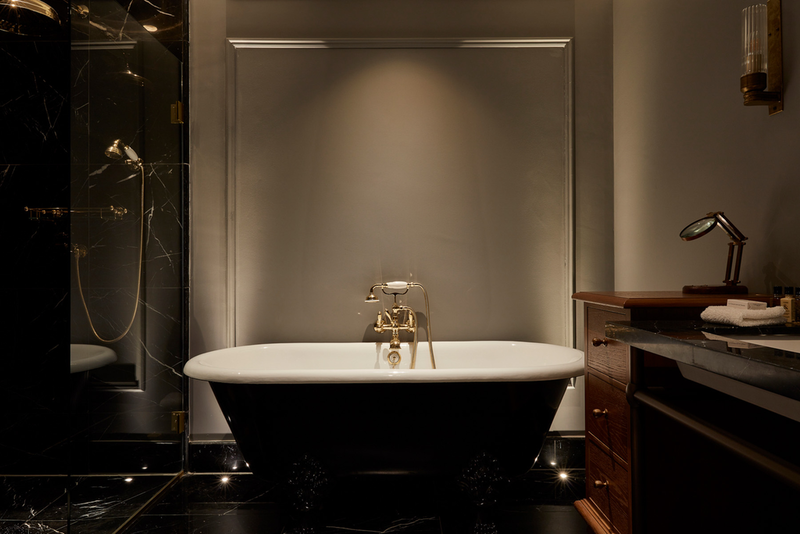 The boards were then sealed with KERDI-KEBA and KERDI-COLL-L to form a fully waterproof base for the high calibre materials that were being installed, which included Crema Marfil, Estromoz and Nero Marquina marble, as well as Peruvian travertine, all in 600 x 600 x 20mm sizings. 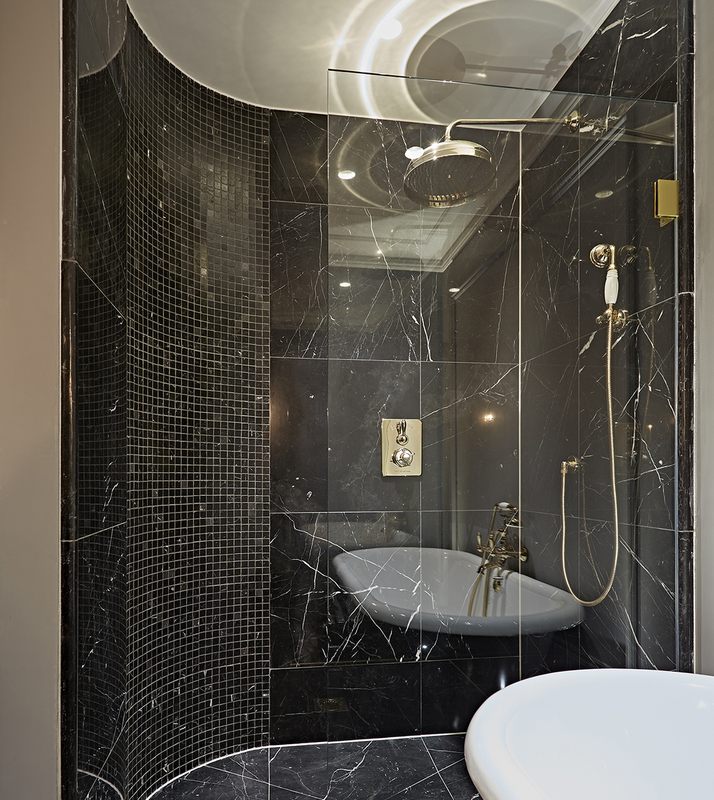 Devon Stone also made use of specialist KERDI-BOARD variant, Schlüter®-KERDI-BOARD-V, to waterproof the curved shower walls that were a feature in some of the bathrooms. This product features pre-cut grooves that allow for the quick creation of a smooth curved surface that is ready for tile or stone to be installed upon. 5mm and 12.5mm are just two of the seven thicknesses that KERDI-BOARD is available in; the range carries boards of 9, 19, 28, 38 and 50mm thickness besides. Whilst the boards at the thinner end of the spectrum are designed for use over existing substrates, latter thicknesses can be used as construction panels to create features such as shelves, partition walls and seats, allowing for unbridled freedom of design. 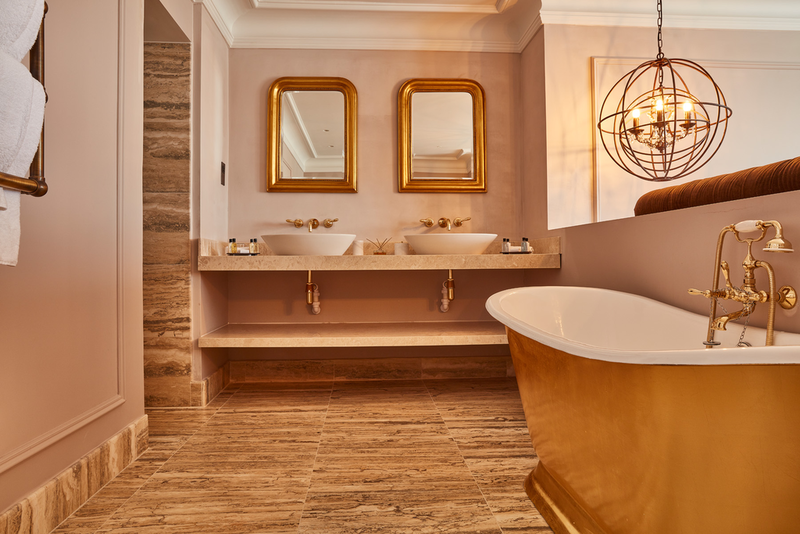 In the case of Lympstone Manor, KERDI-BOARD aided the creation of bathrooms that will support and protect an exquisite and highly personal accomplishment.